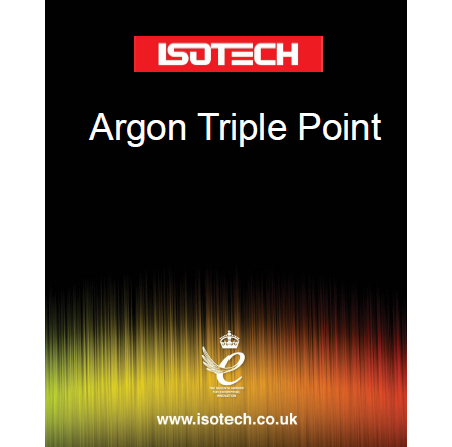 The Isotech Argon Triple Point Apparatus is a robust, simple to use and affordable solution for realization of the argon triple point. Many laboratories use liquid nitrogen comparators, which are convenient and can be low-cost, but the nitrogen boiling point is not on the ITS-90. More importantly, the LN point is below that of Argon. Many standard platinum resistance thermometers (SPRTs) are filled with a mixture of argon and oxygen, and at -195°C will be under a partial vacuum, which affects the self-heating of the SPRT, leading to a larger calibration uncertainty. 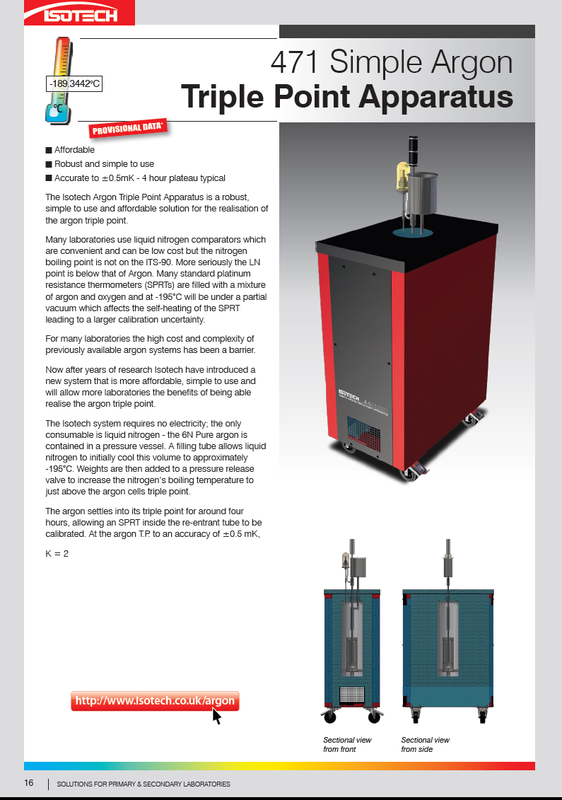 For many laboratories, the high cost and complexity of previously available argon systems has been a barrier. 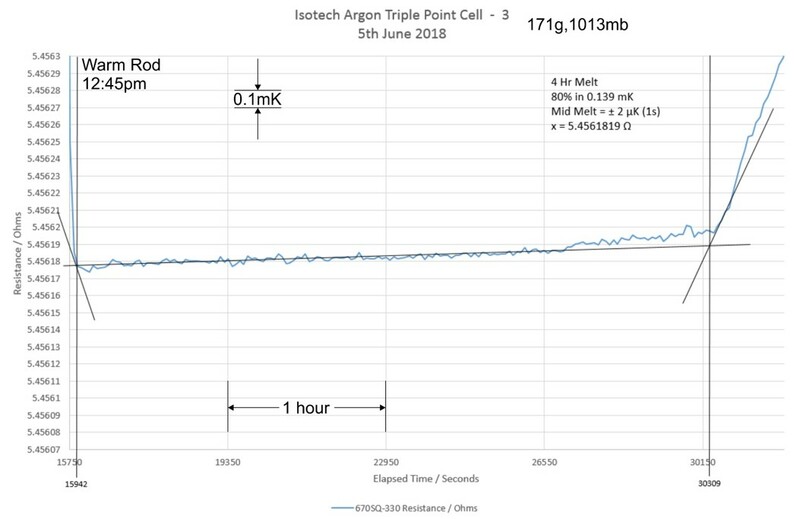 Now, after years of research, Isotech has introduced a new system that is more affordable, simple to use and will allow more laboratories the benefits of realizing the argon triple point. The Isotech system requires no electricity; the only consumable is liquid nitrogen - the 6N Pure argon is contained in a pressure vessel. A filling tube allows liquid nitrogen to initially cool this volume to approximately -195°C. Weights are then added to a pressure release valve to increase the nitrogen’s boiling temperature to just above the argon cells' triple point. The argon settles into its triple point for around four hours, allowing an SPRT inside the re-entrant tube to be calibrated.